Over time your teeth will begin to stain from various things such as smoking, consumption of coffee / dark beverages, and normal wear and tear, teeth may lose their shine and begin to appear yellowed or stained. Whitening is an inexpensive and safe option to bring back their brightness. 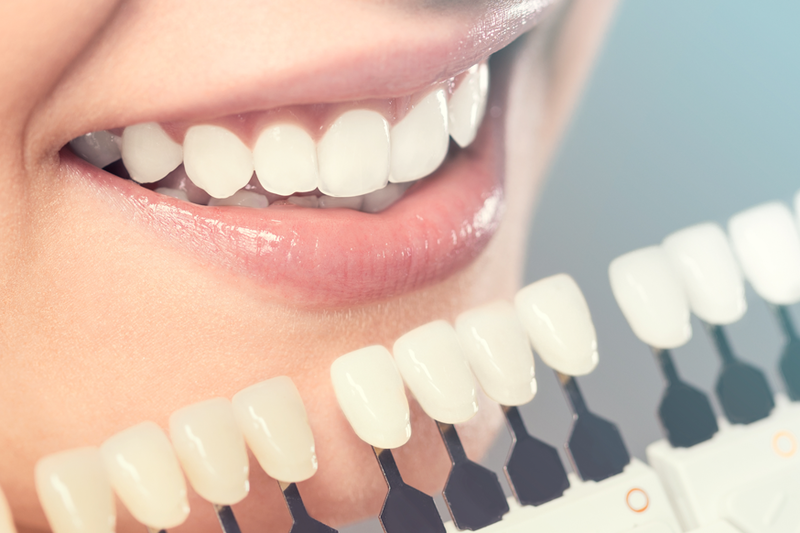 Whitening has become a very popular procedure for enhancing smiles, since patients can expect their teeth to look about two shades whiter than what they started with. Home whitening kits are typically the preferred way of whitening. With this option, the patient is responsible for using the kit consistently until they see the desired whiteness. Impressions are made of teeth so that the trays are custom fit for the patient. The whitening solution will be put into these trays and worn for specific periods of time. Wearing the trays periodically usually requires maintenance, only until desired whitening is achieved.